Added sugars | Retired? No one told me! So far we have explored how you got to this phase in your life where you are uncomfortable with the extra weight you are carrying. Now it is time for you to tailor make your eating programme for the next phase, which is achieving optimum health for your age. Let’s face it if like me you are 66 years old, with a wonky knee and a love of more sedate sports such as walking and swimming, throwing yourself into rock climbing, triathlons and training for the Olympics is probably not on the cards. This entry was posted in Added sugars, Food Diary, Health & Nutrition at any age, Intermittent Fasting, Sally at Smorgasbord Health 2018, Uncategorized and tagged Food Diaries, Healthy Eating, Size Matters on March 23, 2019 by CarolCooks2. Smorgasbord Blog Magazine – Weekly Round Up – Estate Agent Code, Gardening, Roast Dinners, Numerology, Italian Cookery, Editing, music and Books galore..
What a week this has been for Sally full of Health advice, fun, music, recipes and much more…Enjoy! It has been a varied week weather wise as we had a false spring for two days and then were plunged back into frosts and rain. I sat out for an hour in the garden those two days and it was wonderful. I was tempted to come out of hibernation but I am now back in the cave waiting for the real deal. We need good weather for the next phase of the garden renovation at the back of the house which will have the current tarmac extended and the creation of an outside eating area to take advantage of the summer late evenings. With the addition of some benches in various places and some more tubs of flowers the garden will be complete. 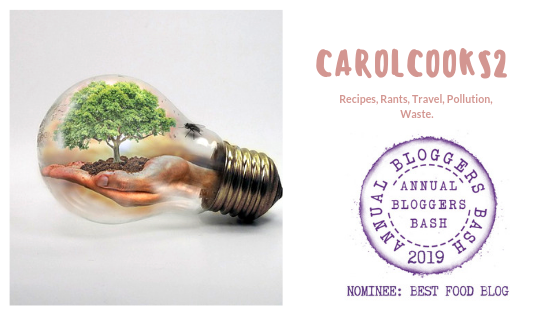 This entry was posted in A taste of Italy, Added sugars, Candida Albicans, Uncategorized and tagged Carol's Cookery Column, Gardening, Health and Nutrition, Health and recipes, Music on March 3, 2019 by CarolCooks2. A marvellous roundup…Whatever your preference be it health, recipes, funnies, book reviews you will find it here in abundance…Enjoy! Settle down, put your feet up and enjoy! via Smorgasbord Blog Magazine – Weekly Round Up – Jazz, Chicken Poop, Chopped liver, Old Age, Australia and Sheep farming!